Basir N, Bickle IC, Telisinghe PU, Abdullah MS, Chong VH. Signet Ring Cell Lymphoma of the Small Bowel: A case report. Oman Med J 2012 Nov; 27(6):491-493. Gastrointestinal lymphoma of the bowel is uncommon compared to adenocarcinoma. Signet ring cell lymphoma (SRCL) is a rare variant of non-Hodgkin’s lymphoma and is characterized by the presence of clear cytoplasm or "cytoplasm inclusion bodies" that displace the nucleus to the periphery of the cell giving a signet ring cell appearance.1 SRCL was first described in 1978 by Kim et al. when they reported seven cases of lymph node involvement.2 Although rare, SRCL has been reported to affect other organs, but the small bowel SRCL has not been previously reported. We hereby report this rare case of SRCL of the distal ileum. A 78-year-old Malay woman presented history of some weight loss in the past few weeks and two days’ history of dyspepsia, nausea, vomiting, anorexia and fever. The latter symptoms had started after she begun taking non-steroidal anti-inflammatory analgesics for knee pain. Her relevant past medical history included hypertension. Physical examination revealed a thin elderly lady who appeared well and comfortable. Abdominal examination revealed fullness in the lower abdomen. The rest of the examination was unremarkable. Abnormal blood investigations included normocytic anemia 10.7 gm/dl (normal range: 12.0-16.0), mild leukocytosis of 16.2 × 109 and mild hypoalbuminemia (32 gm/L). Blood film, liver, renal, and thyroid profiles, as well as erythrocyte sedimentation rate profiles were all normal. Chest radiography was normal. Blood and urine cultures did not isolate any organisms. A computed tomography (CT) scan of the abdomen showed an irregular concentric thickened distal ileum sparing the terminal ileum and caecal pole (Fig. 1). This was associated with a large soft tissue mass inseparable from the right psoas muscle extending along the common iliac vessels to the level of the aortic bifurcation. This was complicated by a mild right nephro-hydroureter. There was no abdominal lymphadenopathy or splenomegaly. The differential diagnosis included small bowel tuberculosis or tumor, in particular lymphoma. Serum lactate dehydrogenase (LDH), serum carcinoembrygenic antigen (CEA) and carbohydrate antigen (CA) 19-9 were all normal. Serum CA 125 was mildly elevated at 68.7 iu/mL (0-35). A CT scan of the thorax showed no mediastinal lymphadenopathies. The patient was referred to the National Cancer Centre. She declined bone marrow staging and therapy. However, she was readmitted with symptoms recurrence secondary to the enlarging tumor mass. She was treated with R-COP (Rituximab, Cyclophosphamide, Oncovine and Prednisolone). After the first cycle, the abdominal mass markedly reduced in size and the CT scan after the third cycle showed minimal residual thickening of the ileum. She completed her chemotherapy and her condition had improved and she was able to go about her daily chores. Figure 1a: Sagittal CT reconstruction showing a small bowel mass in the lower abdomen. Figure 1b: Axial computed tomography image showing thickened ileum. Figure 2a: Histological image showing large clear cytoplasm with the nuclei located in the periphery (H&E stain, × 400); (insert showing brown staining of LAC indicating border of the cell, LAC stain × 400). 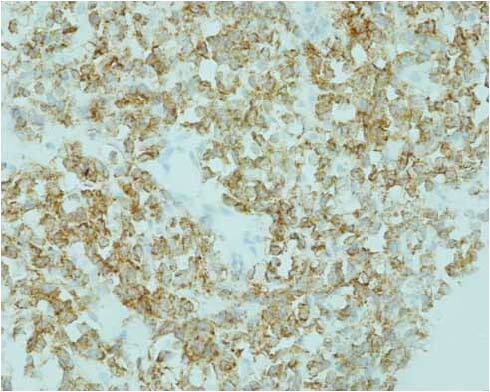 Figure 2b: Histology showing stain positive (brown) for immunoglobulin IgM heavy chain located in the clear cytoplasm (IgM stain, × 400). Small bowel tumours are uncommon and only account for less three percent of all gastrointestinal tumours.3 Gastrointestinal lymphomas are uncommon compared to adenocarcinoma. Among all lymphomas, SRCL only account for a small proportion. To date, there are only about 50 cases of SRCL reported in the literature.4 The most common sites involved are the lymph nodes.2 However, extra-nodal sites such as the orbit,5 skin,6 stomach,7 thyroid gland,8 salivary gland,9 central nervous system,10 tonsils, and the bone marrow,11 have also been reported. Small bowel SRCL has only been reported once.12 This was a case of intestinal mucosa-associated lymphoid tissue (MALT) lymphoma with signet-ring cell morphology in a 59-year-old Japanese man. The tumor was located at the terminal ileum and the root of the vermiform appendage.12 Our case represents the second reported case of small bowel SRCL. SRCL can be divided into three cytological subtypes based on the tumor morphology and immunohistochemistry; clear vacuole, Russell body type and hyaloplasmic deposit types, both derived from B-cells.13 SRCL was initially thought to be restricted to B cell lymphomas but T cell SRCL has also been reported.4 Unlike signet cell carcinoma of the gastrointestinal tract, which contains mucin, the clear cytoplasm of SRCL contains immunoglobulins. It has also been shown that the inclusion bodies in SRCL also contain organelles required for protein production. This suggests that these inclusion bodies may be functional. Based on the types of SRCL proposed, our patient has the Russell body type. This is the most common type, with few eosinophils and the cell can be both large and small. To date, there is no known association or risk factors that predispose to SRCL. Although celiac disease is most commonly associated with malignant lymphoma, particularly of the small bowel lymphoma, association with SRCL has not been reported. Association with signet ring cell adenocarcinoma has previously been reported, a case of duodenal tumor in the background of celiac disease and another in the small bowel in a patient with Crohn’s disease.14,15 In the current case, we did not test for celiac disease as this condition is extremely rare in the patient’s ethnic group. To date, apart from the very few cases in Westerners, we have not encountered any cases of celiac disease in the local population. Furthermore, the current patient did not have any symptoms of celiac disease prior to the diagnosis of SRCL or persistence of symptoms after treatment despite being on a non-gluten free diet. The clinical manifestations, behaviors and imaging findings of SRCL are nonspecific and resemble the non-SRCL. In an area where tuberculosis remains endemic, tuberculosis of the small bowel needs to be considered. For definitive diagnosis, histology examination with immunostaining is required. Fortunately, despite the rarity of this condition, the treatment for SRCL is similar to other lymphoma, consisting of standard chemotherapy, surgical resection and/or radiotherapy, depending on location and stage of the tumor. Our patient was given a slightly different regime, without the Adriamycin due to her age and tumor type. The patient responded well to chemotherapy and after just the first cycle, the tumor mass had markedly reduced. Repeated imaging after the third cycle showed almost complete resolution. 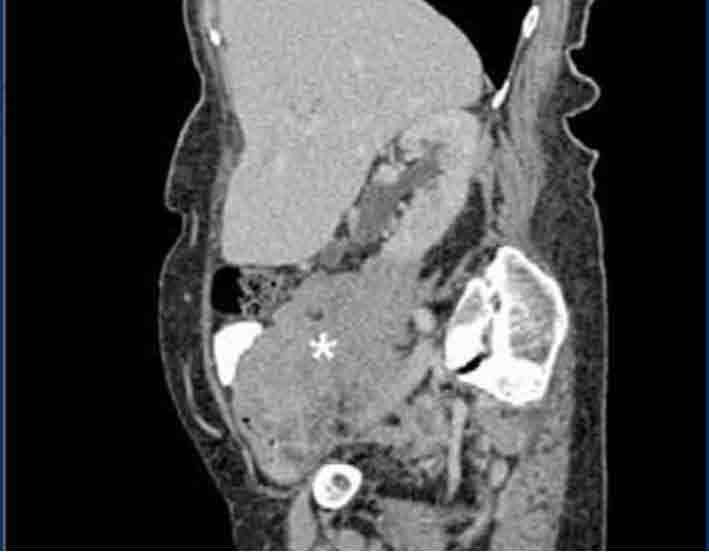 The case highlights a rare and interesting case of small bowel SRCL, an uncommon variant of non-Hodgkin’s lymphoma. Despite the behaviors of SRCL being similar to the normal variant lymphoma, it is important to differentiate the different entities. 1. Nagasaki A, Oshiro A, Miyagi T, Sakihara M, Oshima K, Kikuchi M, et al. Signet-ring cell lymphoma. Intern Med. 2003; 42:1055-1056. 2. Kim H, Dorfman RF, Rappaport H. Signet ring cell lymphoma: a rare morphologic and functional expression of nodular (follicular) lymphoma. Am J Surg Pathol. 1978; 12:119-132. 3. Abu-Hamda EM, Hattab EM, Lynch PM. Small bowel tumors. Curr Gastroenterol Rep. 2003; 5:386-393. 4. Cross PA, Eyden BP, Harris M. Signet-ring cell lymphoma of T-cell type. J Clin Pathol 1989; 42:239-245. 5. Dolman PJ, Rootman J, Quenville NF. Signet-ring cell lymphoma in the orbit: a case report and review. Can J Ophthalmol. 1986; 21:242-245. 6. Grogan TM, Payne CM, Richter LC, Rangel CS. Signet ring cell lymphoma of T-cell origin: an immunocytochemical and ultrastructural study relating giant vacuole formation to cytoplasmic sequestration of surface membrane. Am J Surg Pathol 1985; 9:684-692. 7. Tungekar MF. Gastric signet-ring cell lymphoma with alpha heavy chains. Histopathology 1986; 10:725-733. 8. Allevato PA, Kini SR, Rebuck JW, Miller JM, Hamburger JL. Signet-ring cell lymphoma of the thyroid: a case report. Hum Pathol 1985; 16:1066-1068. 9. Stramignoni A, Palestro G, Coda R, Micca FB, Stramignoni D. Signet-ring cell lymphoma in salivary gland: an immunohistochemical and ultrastructural study. Appl Pathol 1984; 2:76-84. 10. Pappas CT, Johnson PC, Sonntag VK. Signet-ring cell lymphoma of the central nervous system. Case report. J Neurosurg. 1988; 69:789-792. 11. McCluggage WG, Bharucha H, el-Agnaf M, Toner PG. B cell signet-ring cell lymphoma of bone marrow. J Clin Pathol. 1995; 48:275-278. 12. Masahiro H, Masayuki T, Mitsubumi A, Junki K, Ichiro M, Mamoru T. A case of intestinal marginal zone B-cell lymphoma of mucosa-associated lymphoid tissue (MALT Lymphoma) with signet-ring cell morphology. St Marianna Med J. 2004; 32:569-576. 13. Navus-Palacios JJ, Valdes MD, Navus VL. 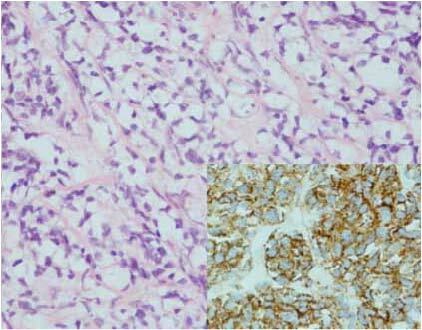 Signet ring cell lymphoma, ultrastructural and immunohistochemical features of three variants. Cancer 1999; 52:1613-1623. 14. Pisello F, Geraci G, Li Volsi F, Stassi F, Modica G, Sciumè C. Duodenal Signet Ring Cell Carcinoma in a Celiac Patient. Case Rep Gastroenterol. 2009; 3:49-55. 15. Kim JS, Cheung DY, Park SH, Kim HK, Maeng IH, Kim SY, Kim JI, Kim JK. 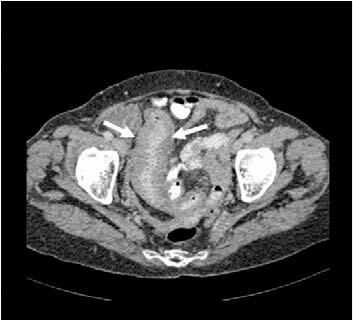 A case of small intestinal signet ring cell carcinoma in Crohn's disease]. Korean J Gastroenterol. 2007; 50:51-55.